Welcome to Back Track, as we revisit some of the best releases on Stories In Trance. All too often these days good music is forgotten about too quickly as something newer is put out there. Here at SIT we like to remember how the story has developed, and once again shine the light on some seminal releases. So take a look below, relive some epics, and listen out for them being spun by some top DJs once again, as the official promos for all of our featured releases will be hitting the inboxes of our substantial roster of deejays. Release number 19 on SIT came in a familiar form, and certainly one that is worth another look at. Back Track returns later than planned in 2017 with a stellar package from the ultra talented Swedish producer Gustaf Westin, once again under his Airborne Angel guise. This is Belt Of Orion. March 2012 saw this one hit the stores, but despite being over five years old, and us saying this about all of Airborne Angel's output, the sheer production brilliance and refined dynamics of Gustaf's work mean they age like fine wine. Perfectly demonstrating the range of his talent and vision Belt Of Orion expertly combines his aforementioned top level production techniques with a beautifully emotive lead melody, some stunning subtle movement within, and a truly epic break, all of which completes a massively definitive track that remains fit for any set to this day. Supporting the massive original were three alternate versions, all worthy of consideration. In addition to the original, Gustaf offers up a different take on his own track with the Airborne Angel remix. The same beautifully epic break and aggressive feel is given a more progressive edge, leaving us with a different flavour for this equally potent version. Then, Soundwave held nothing back and delivered a powerful uplifting remix, and wrapping up was Rytis Gedvilas remixing under his White Motion moniker, subtly restructuring the layers which shifts the focus of the track more towards its strength in depth and building up to a excellent post break climax. big-hitters Paul Van Dyk, Guiseppe Ottaviani, Suncatcher, Matt Darey, and Manuel Le Saux amongst many others. As 2017 settles down, now is the time for Stories In Trance to serve up the first Back Track of the year. 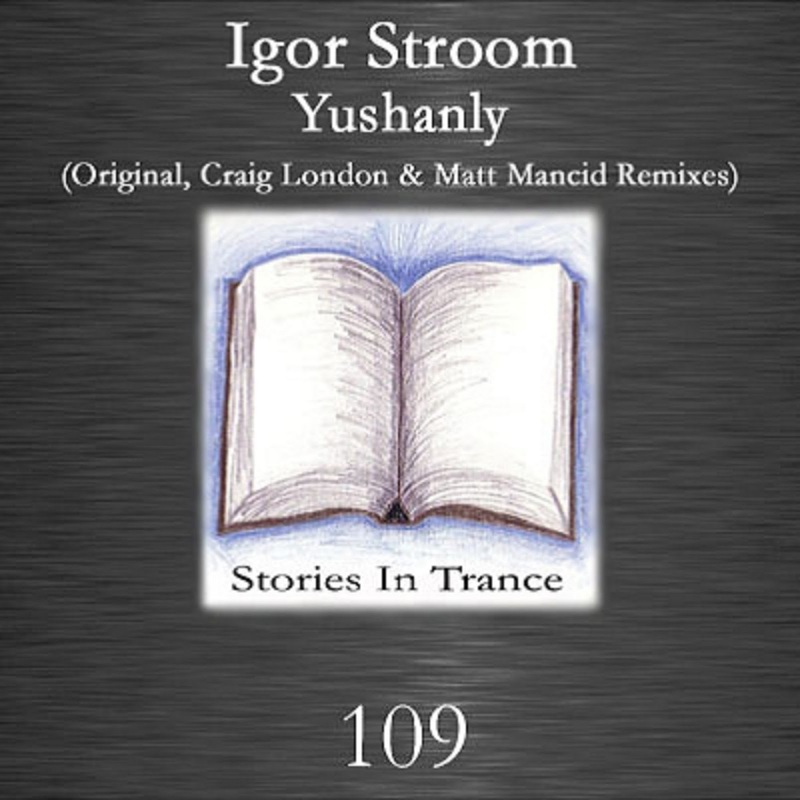 So, we direct your attention to another modern classic in the shape of SIT 109 from Igor Stroom with the three track single Yushanly. October 2014 saw this one come to the boil from a seasoned performer for SIT, and indeed one of our favourites. Named in honour of his homeland, up first we have a fine original. Hot off the back of his excellent remix of Zos Van Zindell's Victorious (SIT 103), Igor returned with his first original since The Sun (SIT 48), but it was well worth the wait as once again he showed why he has become one of Eastern Europe's most notable producers. Here we get a perfectly well balanced and melodically strong track accompanied by fantastic production technique resulting in a real progressive masterpiece. With beautiful layering this is a stunning track from Igor and a brilliant addition to his ever impressive catalogue of tracks and remixes. Even now this is sure to be a smash in any progressive set. The package came with two fine remixes: Craig London and Matt Mancid did the honours. SIT legend Craig London offered us another remix, repaying the favour to Igor Stroom who so expertly remixed his A New Beginning (SIT 107). Natural talent is always so evident within Craig's output, and here he was true to form as this energetic and infectious track used all the melodic excellence from the original fused with Craig's customary production finery. This is yet another slice of sumptuous trance that added more weight to Craig's ever-flourishing reputation. And not forgetting the final part of this release, the Matt Mancid remix is well worth a listen. 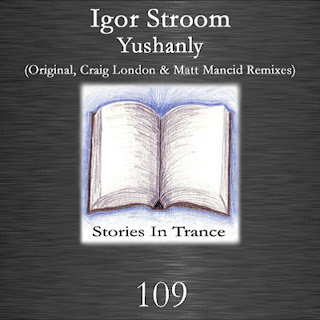 This remix is a perfect representation of his talents; a beautiful, warm and fantastically well produced piece of trance that has all the qualities of Igor’s piece with Matt's own distinctive touches that provides a brilliant alternative to the original. An understated yet successful release at the time, it got immediate support from Guiseppe Ottaviani, Manuel Le Saux and Markus Schulz, and, like all Igor's releases, was a positively steady fixture in several digital stores' sales charts. If you missed it back in 2014, here's another chance, so get clicking below...! The final instalment of Back Track for 2016 takes focus on a belter from back in April 2011. 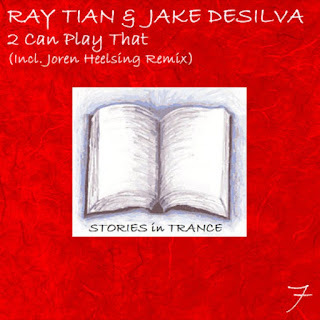 Ray Tian and Jake DeSilva brought us 2 Can Play That, an exciting release perfectly defining the sort of tracks we felt would add something memorable to the scene. And in our humble opinion, with quality like this, we believe they did. Simple yet potent, this was SIT 7. With years of clubland DJing experience, Jake's penchant for energising crowds rubbed off here in the composition of the superb original version, complimented by the other half of this production team, Ray Tian. Ray honed his skills as part of the production team 'Reverse', with releases featured on such labels as Vandit and Discover. So the two working together here on 2 Can Play That infuse the pace and energy of a big room trancer beautifully with a delicate melody to make this an unforgettable uplifting piece, and one certainly worth another spin. However, the sole remix on offer here is maybe the start of the show, coming in the form of Hungarian producer Joren Heelsing's rethink. Taking it down a darker route with aggressive low end drive whilst still retaining a delicate and melodic feel, this mix in particular seemed to strike a chord with DJ's at the time of release. In fact, the whole package was well received, with support from Guiseppe Ottaviani, John Askew, Paul Oakenfold, Luca Lombardi, Manuel Le Saux and Super8 & Tab. This one deserves another go in the sun, a forgotten modern classic perhaps, so check it out through the link below. Back Track number three for 2016 sees us shift focus to something a little more recent, but one deserving of another look. 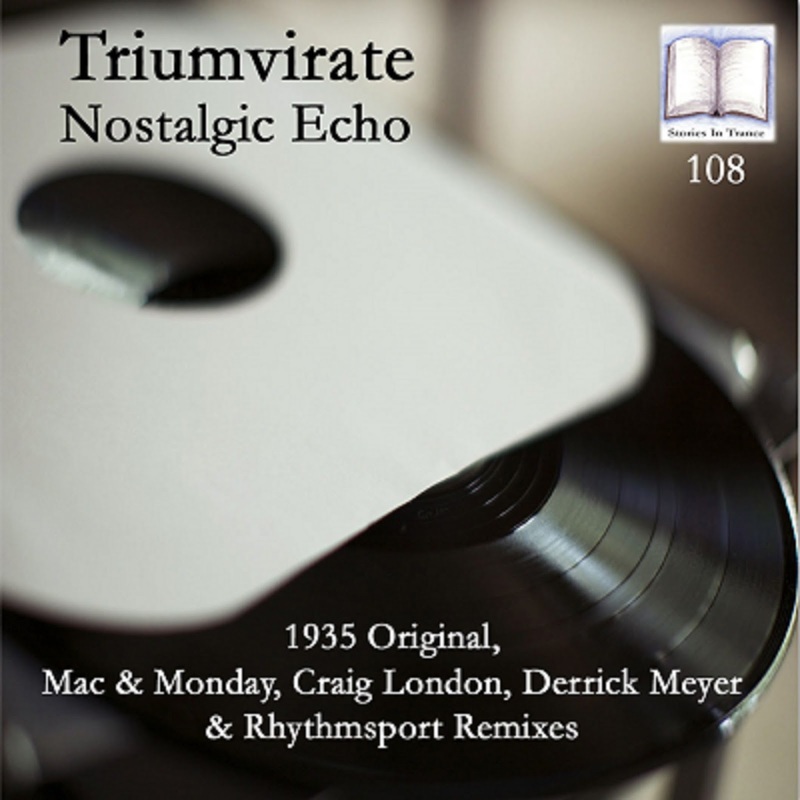 Stories In Trance are proud to present once again SIT 108 from Triumvirate with the epic five track single Nostalgic Echo. Following on from the rework of The Persistence Of Memory, Garton & Carter returned in October 2014 with this completely bespoke piece of trance power, labelled as the 1935 Original, continuing the theme of references to Salvadore Dali paintings. The varied make-up of Triumvirate brings about differing musical influences, and once again this becomes evident in their production as inspiration from the older structure and style of trance culminates in something reminiscent of the best of times. Driven and structured around original melodic composition and supplemented by the deep, rich bass and kick, once the driving percussive layering and some beautiful piano synths is added to the mix you end up with this potent old-school trancer. This is one for fans of everything that trance once was to savour, in the ever decreasing company of tracks that are guided by originally composed melodies and underpinned by ever evolving and progressing structures. Real music shouldn't just be about the latest, most modern sounds or plugins: most importantly it should make the listener feel something and engage you by letting the concept and composition be interpreted by those who listen. Because of Triumvirate's appropriate execution and attention to detail, this is something special, and one we are truly proud of. The supporting package put together here is something with real depth and appeal, kicking off with an incredible remix from Mac & Monday. Nothing short of genuinely spectacular they gave us a driving and powerful track that focuses on the more atmospheric parts of the original and added some of their own cultured and sublimely well rounded melodic touches. This is something that is to be savoured, standing alongside some of the very best trance of all time and is a must have for all true trance enthusiasts, with it's timeless sound making it an essential addition to any and all sets and mixes. Additionally we have more superlative remixes for your consideration, next in the shape of SIT stalwart Craig London delivering, well, pure Craig London, showcasing his vast talents with this beautifully energetic and infectious take on the original that ebbs and flows seamlessly. Craig has proven to be staggeringly consistent over his entire production career and this rethink is no exception to that high standard. 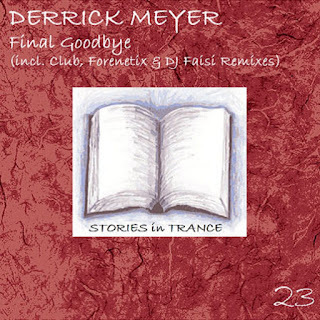 Then, Stories In Trance legend Derrick Meyer brings his unique style to the track delivering the goods with his usual production excellence - his unmistakable musical dynamics and expertly polished use of the melodic components all amount to a brilliant retake on the original. And finally Rhythmsport puts his own spin on the original taking it down a more techy and aggressive route balancing an infusion of the original components against ideas of his own creating a very accomplished and impressive remix. After a successful release and big support from the likes of Markus Schulz, Guiseppe Ottaviani and Manuel Le Saux this is a modern classic well worth another visit. Instalment number two of the Back Track feature for 2016 brings you this lost gem in the form of a special edition EP. As Stories In Trance hit the 20 mark in March 2012 we offered up this choice selection from four artists with four very different tracks. 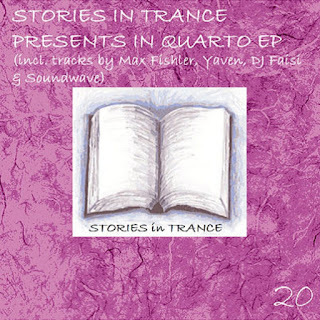 Stories In Trance Presents In Quarto EP. As SIT continued to build on a strong start, we wanted to show the diversity in not only our thinking in the way we packaged releases but also the variety of artists who wanted to contribute to our story. So, the In Quarto EP was born. And the relevance for featuring this on the Back Track series at this point (other than it containing four strong tracks) is the piece closing off the EP - Soundwave's Last Moments - is to be re-released this Friday 27th May with an additional three cracking remixes from some major players on SIT. However, this old school power trancer in original form is certainly worth a listen if you missed it first time around. Italian producer Soundwave (Adrian Iamandei) gives us a mixture of pace, power and an epic climactic hook: pure uplifting trance doesn't get much better than this. Last Moments clearly shines brightest on the EP, but the other three tracks here are worthy of being revisited. Russian producer Max Fishler, having featured prominently in our early days with several first-rate originals and remixes, appeared once again with another of his trademark heavy and tightly produced tech trancers in the form of Hailstorm. Next, and in stark contrast to the power of Fishler's effort, comes the absolutely beautiful Find The Sky from Yaven (Garrett Price). A stunningly crafted piece of music, with flowing mids and delicate melodic touches set on top of rich lows expertly intertwine to give us this wonderfully dreamy, evocative track. And third came one of Stories In Trance's surprise packages, the hugely talented Pakistani DJ Faisi (Faisal Maqbool), with his superbly imaginative Sadabahar. DJ Faisi really made waves with his output on SIT and created some notable pieces with his distinctive style, so Sadabahar is one that may well leave a positive impression. In similar vein to the previous Back Tract feature (BB Sound's Oblique - below) In Quarto EP had a successful promotion campaign, with support and plays from Dereck Recay, Manuel Le Saux, Manuel Rocca, Forenetix, and DJ Bismark, but failed to get the credit its component parts warranted. Now, with the superb Last Moments about to take the spotlight with it's re-release, checking out the contents of this EP could be well overdue! The new year sees the return of Back Track, and we kick off 2016 with a stormer! 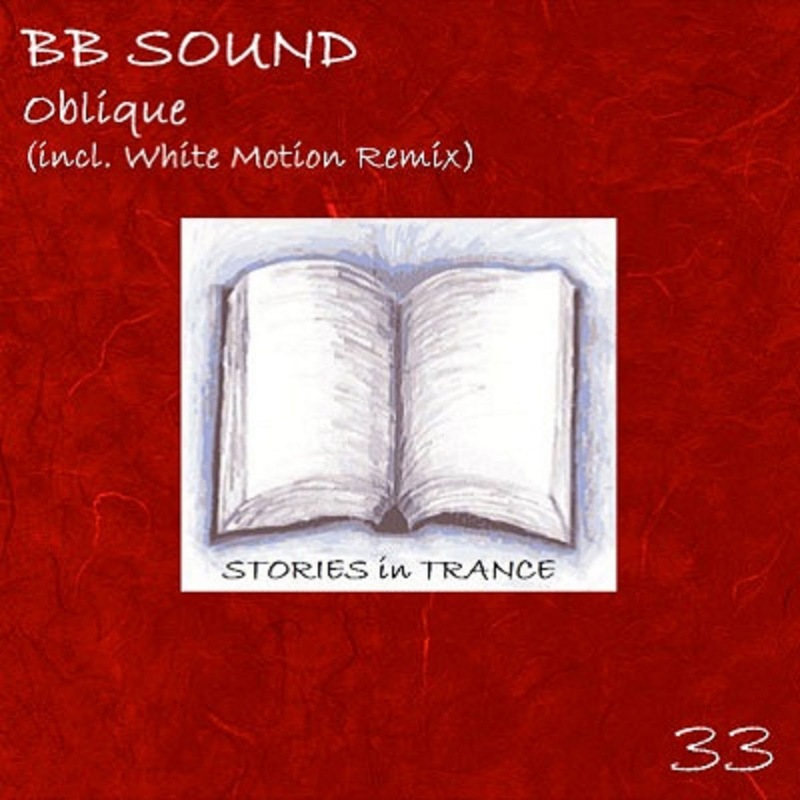 From back in the summer of 2012, the 33rd release on Stories In Trance came in the form of BB Sound with the massive track Oblique. BB Sound was one of the guises of Italians Alexander One (Petrone Carmelo) and Davide Battista (Gabriele Stefanini). Their initial outings for SIT came as remixes; first Max Stealthy's Arrinera (SIT 25), and two superb versions of White Motion's Solis (SIT 28), so they had form coming into a debut original. When we first heard Oblique we knew it was special, but our own Matt Carter worked with them on additional layering ideas to make the track have a more dynamic feel. The end result is a real floor filler, with a powerful thumping bassline underpinning a wickedly infectious and well defined lead hook exploding out of a wonderfully climatic break. This was always going to be one to remember, but if you did miss it first time then get this checked immediately! Just one remix in support, but it was a cracker. White Motion (Lithuanian Rytis Gedvilas) had plenty of previous on Stories In Trance to prove he was more than capable of turning out top tracks and this remix was no exception. Rytis carved out a definitive style for himself and when applied with exquisite technique to an original as strong as this it was only going to result in one thing- a truly outstanding reinterpretation. An immense way to wrap up this potent little package. Despite all this, the release somewhat went under the radar back in 2012, but this is a real gem so give that little link below a click and enjoy something special from our superlative back catalogue! Back Track for November 2015 features Stories In Trance legend Derrick Meyer for the first time, with this superlative package by the name of Final Goodbye. The 23rd release on SIT from back in April 2012, this is one that is well worth another look, and listen. 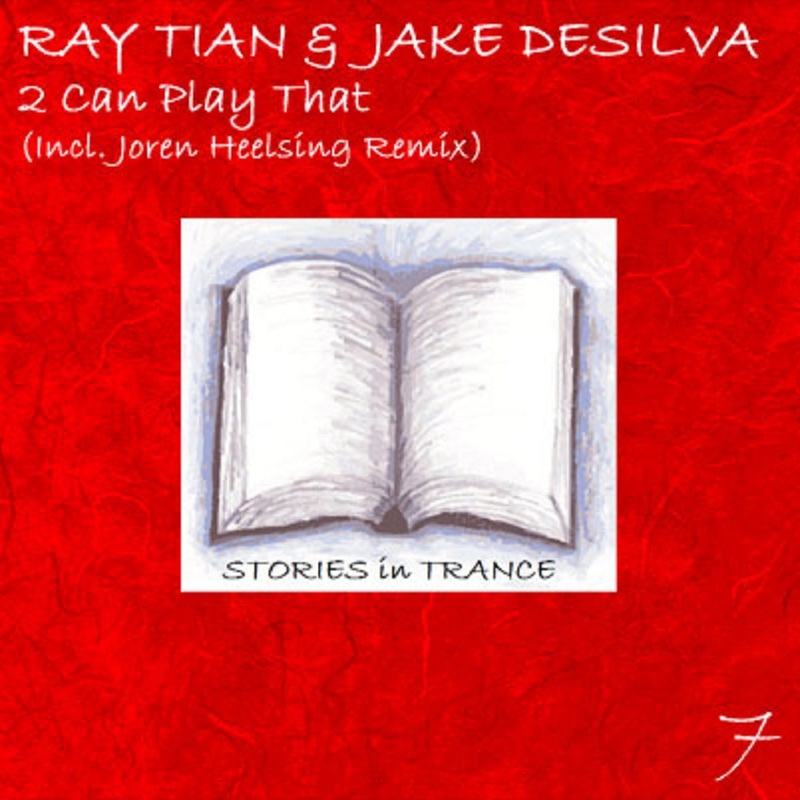 Being one of the founder members of Stories In Trance, SIT were (and always are) proud to showcase the work of Derrick, and his unique productions are never anything but an exciting prospect. The Ohio based producer quickly defined a uniquely definitive sound in his work and following on from some great outings previously on Stories In Trance (check out his impressive back catalogue) this time out Derrick demonstrated his creative range by offering up this emotive, dreamy original. And proving his expressive talent he complimented that expertly with his Club Mix, creating a slightly tougher interpretation of things making this perfect for club land, whilst still retaining its beautiful melodic feel. Two top class pieces of trance we think. Asked to see what they could do on the remix side of things this time were Hungarian duo Forenetix and another Stories In Trance regular, DJ Faisi, and neither of them came up short with their take on the original. First we have Garry SJ & Peter working once again to maximum effect under their Forenetix moniker. 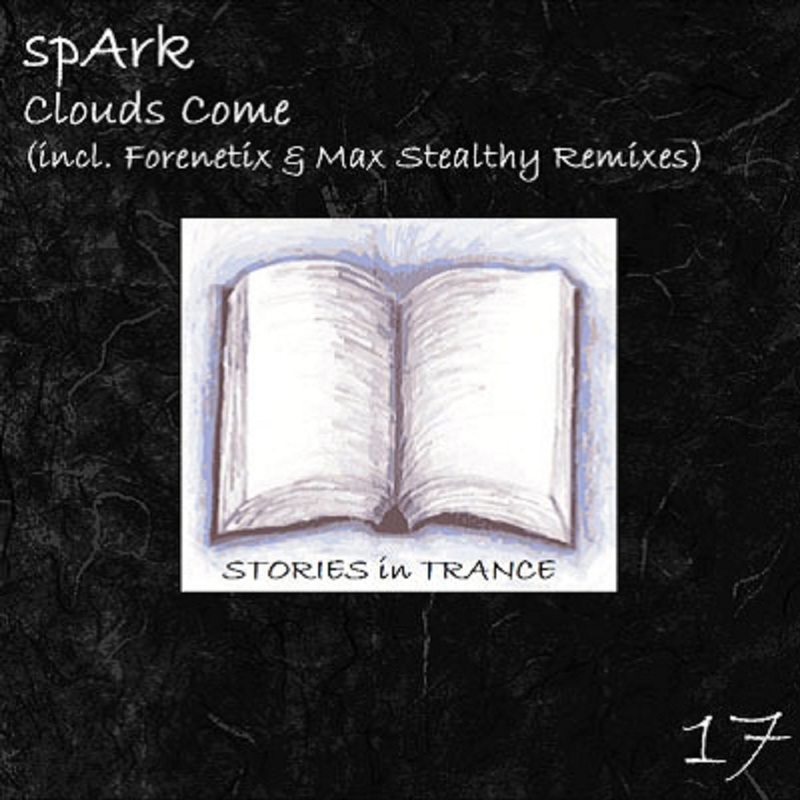 With a high calibre production background, including previous for Ferry Corsten's trance empire on his Levare subdivision, and a hugely impressive debut on Stories In Trance with their wonderful remix of spArk's Clouds Come (SIT 17), they hit top form again here with this delicate yet potent rethink. Backing that up ably is Pakistan's DJ Faisi with his magnificent remix. Faisal Maqbool had some stunning and very memorable productions in the early years of SIT and again here the quality doesn't let up with Faisal delivering his now trademark flavour via the original's excellent components. Garnering support and plays from some big names, including Aly & Fila, Guiseppe Ottaviani, Manual Rocca and Luca Lombardi, releases like this helped shaped the legacy that became SIT and we hope you'll agree is an excellent all-round package. After a short summer break, Back Track returns for September 2015 with a powerhouse of a release from Russian Max Fishler. Ladies and Gentlemen, this is Evia. 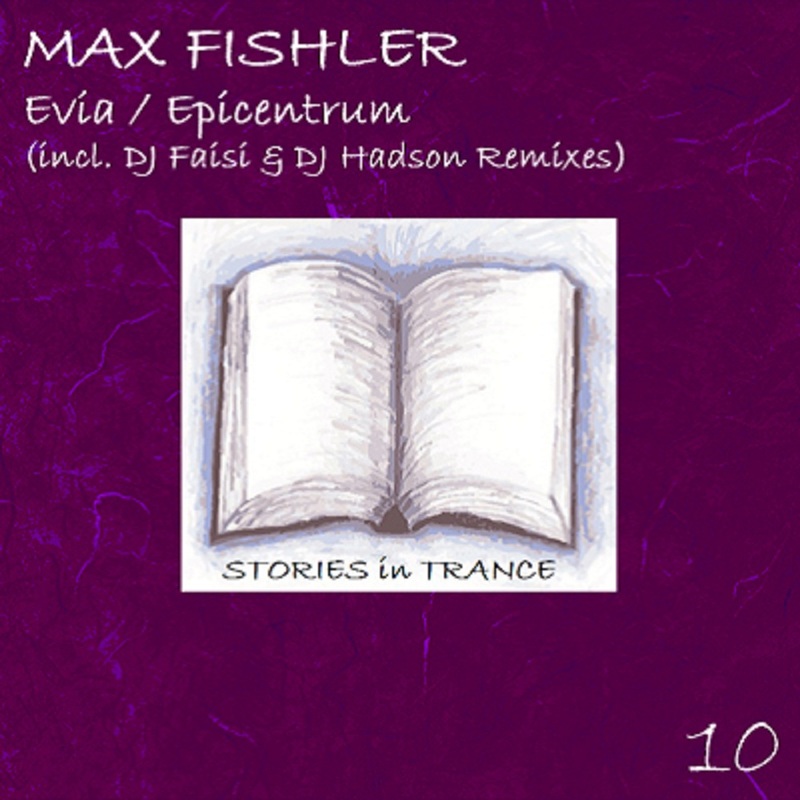 As Stories In Trance entered double figures for releases back in July 2011 this was the third appearance from newcomer producer Max Fishler, fresh from his debut original The Skyshard (SIT 5) and his superb remix of Shining In Warm Up (SIT 4). When we first encountered Max's work, it was productions of this standard that made SIT take notice, despite the fact that for no obvious reason his first-rate productions had been largely overlooked by other labels at the time. He quickly established a well defined polished sound with these early releases, and rightfully it wasn't long before his talented offerings through SIT were noticed by DJs and fans alike. Combining a simple yet infectious lead melody infused with rich mids and a powerful deep low-end, this was well structured dynamically to really build up the excitement into the epic break and beyond for the superb climax. Big room trance that is sure to fill any club floor doesn't age, and this is no exception. As for the remixes, the highlight came from one of Pakistan's finest EDM producers, DJ Faisi (Faisal Maqbool). Faisi's material on SIT was always something special, so anybody looking for top quality trance could do with checking out his back catalogue, starting here. He takes the track down a more uplifting route, but allows the lead melody to be flooded with beautiful free flowing effects and builds around them to keep the tune evolving, delivering a truly creative and masterful take on the original. This remix is arguably better than the original, and was always a personal favourite for the SIT team: one that comes highly recommended. Another imaginative package on offer here, it was releases of this calibre that perfectly illustrated the strength and consistency of the producers we sought to work with, and productions that Stories In Trance were proud to showcase. Evia was ahead of it's time, as based on the current trend for slower, more techy themed tracks we think that if this was released now it would have been an outright smash. So give that link below a click, and enjoy! So, 2015 enters its second half, we present the next instalment of Back Track. At the time of launch we said boldly that this was something that would go up there with the very best. And three years on, we stand by that statement, and take another look at our 27th release. 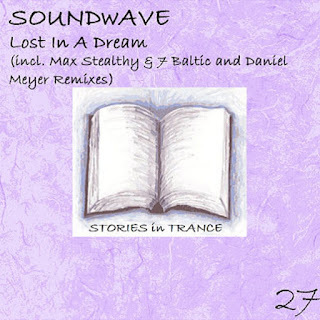 From June 2012, we show again Soundwave with this stormer Lost In A Dream. 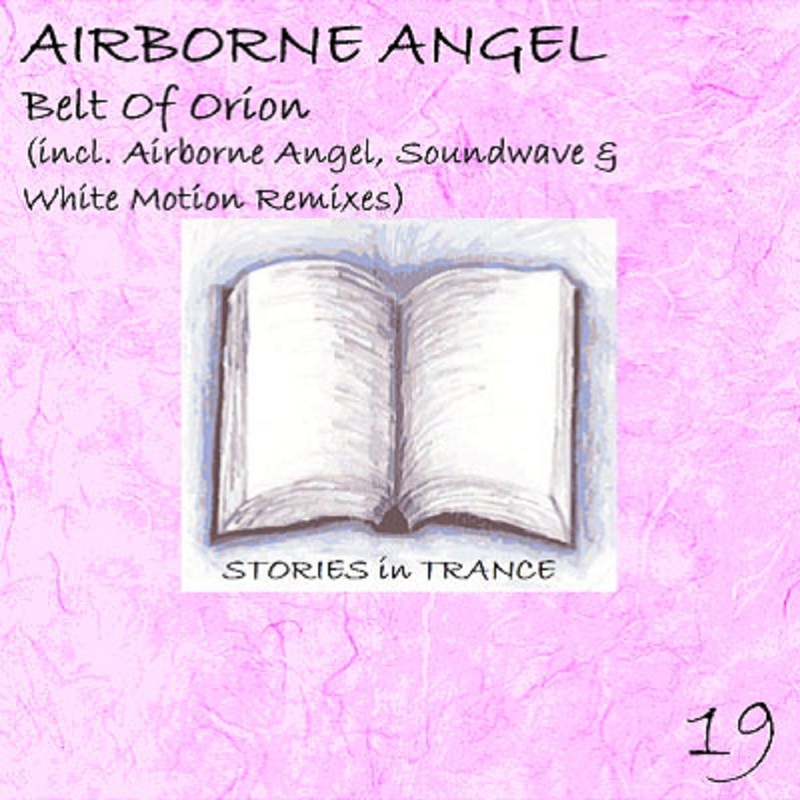 Italian producer Soundwave (Adrian Iamandei) kicked things off on Stories In Trance with his widely acclaimed remix of Airborne Angel's Belt Of Orion (SIT 19) and then served up his first SIT original Last Moments, which featured on the highly acclaimed In Quarto EP (SIT 20). Based on those, another production of this quality was no surprise from Adrian. Here he shows off his polished production technique by skilfully weaving a beautifully evocative lead melody into evolving layers, creating a truly stunning atmospheric track. Not only was this fit to grace many a set three years ago, it still sounds fresh today. Back up for the original came in two guises. First up was Stories In Trance legend Max Stealthy with yet another top production. Max built his revered reputation on productions like this, and every piece of work always met with the standard he set on his explosive debut, the seminal Charge EP (as featured in May's Back Track). And once again Max delivered a creative reinterpretation of an original whilst retaining his now familiar Max Stealthy flavour. Rounding off the release was the 7 Baltic & Daniel Meyer remix. 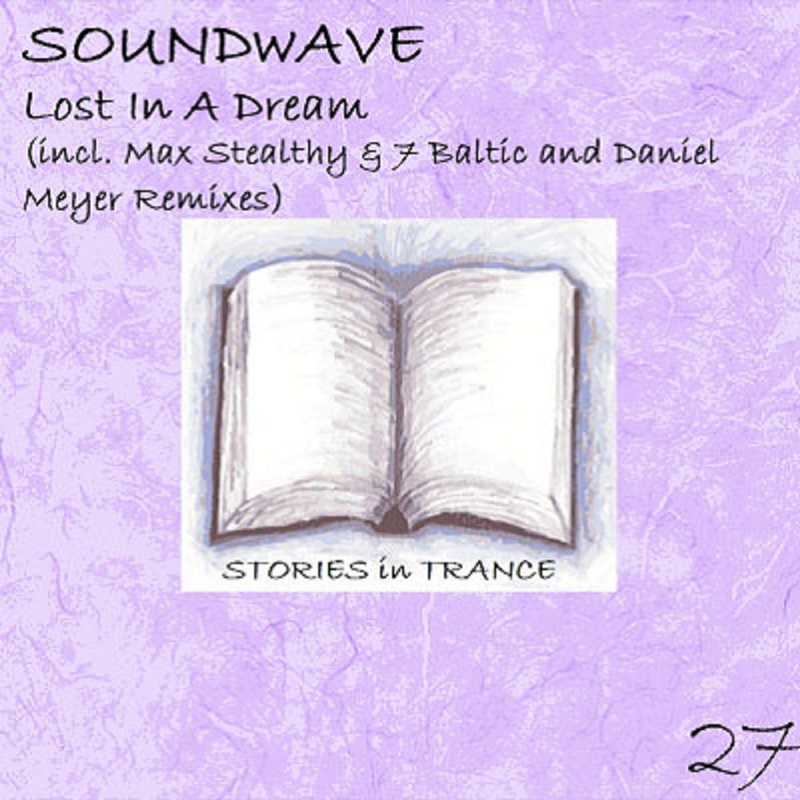 Daniel Meyer, making his third appearance on Stories In Trance, teamed up with fellow Polish producer 7 Baltic (Marek Lenkiewicz) and out of their combined creative talents came this excellent uplifting rethink. With a campaign score of over 70% and support from the likes of Solar Stone, The Thrillseekers, Suncatcher and Manuel Rocca this was a potent package back in the summer of 2012 and one that certainly should not be forgotten. Refresh your memory by clicking on the link below, and savour. It's that time again- Back Track is here! June 2015 sees us selecting a real cracker from the SIT archive and bringing it back out into the light. From a VIP in the Stories In Trance legacy, it is a privilege to once again introduce Sweden's finest Gustaf Westin with his Airborne Angel. This is Perfect State. 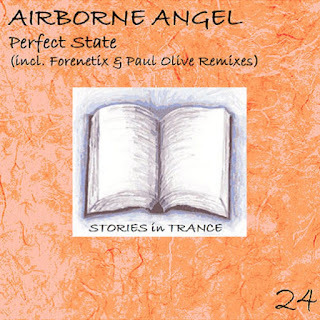 Anyone who is familiar with the history of SIT cannot fail to notice the role that tracks from Airborne Angel played in establishing us as a well regarded independent trance label. We have always shouted from the rooftops when it comes to offering up work from a man who will forever be lauded for his work at SIT. His seminal track Apollo launched the label all the way back in summer 2010, and from that explosive start point his productions on the label were nothing short of stunning. Perfect State was released in May 2012 and once again he came through with a masterpiece of trance. This is an epic from start to finish, where his instantly recognisable production technique and feel combine superbly with the infectious lead melody which still make this fit to grace any set. Looking back we are proud to have worked so closely and regularly with Gustaf, and with quality like this it's easy to see why. The pick of the remixes comes from talented Hungarians Forenetix (Garry SJ & Peter) making their third appearance on Stories In Trance with this sublime version. Having already delivered in a big way remixing spArk's Clouds Come (SIT 17) and Derrick Meyer's Final Goodbye (SIT 23) they hit the mark once again with this excellent rethink. Staying quite close to the original's flowing lines and melody, they add some well crafted layering and an epic break to the mix to create a well produced alternative. 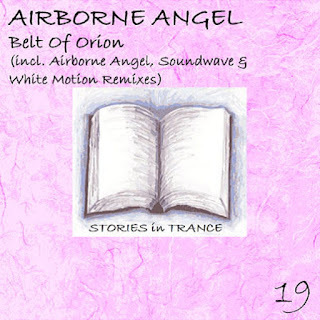 This, as was the case with all of the Airborne Angel productions, was well received, with a glut of support from the likes of Giuseppe Ottaviani, Aly & Fila, Manuel Le Saux and Manuel Rocca to name only a few. So, to mark the success of not only Perfect State but our Back Track feature we are proud to reveal that Perfect State will be re-released with two new remixes from the cream of the SIT roster, Craig London and Basil XM. Stories In Trance can guarantee this: the new versions are impressive! In the meantime, check out the original mix via the link below. With Back Track proving to be a popular feature for SIT, in May 2015 we revisit a debut release from an unquestionable Stories In Trance legend. 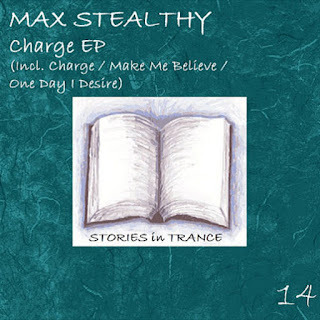 Initially offered in November 2011, we re-present Max Stealthy's inspired Charge EP. At the time of being sent this, we knew that not only was this little collection of Max's tracks going to be big, but that clearly this Polish newcomer had real talent. Bizarrely, he'd been overlooked by some other labels before coming to us, which at this time in the trance scene seemed to be a recurring issue for many imaginative producers, who had yet to have chance to make a name for themselves, approaching established labels. Stories In Trance prides itself on judging tracks on their merits regardless of if the artist is (at the initial stage) marketable. If the material is good enough, the rest will follow. And since the almost immediate decision we took to work with Max, his material has been first-class. Spin through Max's SIT back catalogue and you'll really feel how this powerful EP sets the tone for his now well defined production technique. Max's productions expertly combine strong lead melodies with pace and power, but he has the natural ability to create tracks with almost tangible emotive feel, and this is perfectly demonstrated with the quality on offer here. Charge does exactly what the name suggests- a real big room screamer with a dark aggressive tone. The solid back up from the similarly energetic and equally as potent Make Me Believe and the more delicate melody and subtle usage of layers in One Day I Desire complete the package. With the EP gaining support from Paul Van Dyk, John Askew, Manuel Le Saux and Luca Lombardi amongst several others we think you'll agree that this was some way to kick off a prolific production career. Many years after this explosive start Max Stealthy continues to be a key player in the success of Stories In Trance, so why not refresh yourself with how his story began by clicking on the link below. The fourth instalment of Back Track for 2015 sees us refocusing on the 30th Stories In Trance release, and based on the quality on offer within the package it certainly is worth another look. Here we have Veeto & Daveij with their brilliant Behind The Curtains. Veeto was a pseudonym used by Vito De Santis, who was more commonly known through the EDM world as Vitodito. Vito felt that this special project was worthy of a different moniker as it represented a departure from his usual slower progressive roots and in our opinion it really stands out as a highlight in the producer's catalogue of work. Though notably here he teamed up with Swedish producer Daveij (David Folkebrant), and whether the latter's influence was what moved this creation more into uplifting territory is unknown, but however it came about the track is certainly the better for its blend of pace and energetic melody. There is something of a Daniel Kandi-esque feel to this track, and played here now three years after it's initial release it still sounds as fresh as any of the best from that period. Supporting were two different yet superb remixes for consideration and first is Soulforge with an epic take on things. Soulforge (USA's Skye Donnelly) had a tidy back catalogue behind him before turning his hand on this one, with strong appearances on Alter Ego and Neuroscience, plus previous collaborations working directly with Vito creating some pleasing originals and remixes. Here he showed good knowledge of Vito's work and was able to create something special with a more powerful, driving reinterpretation. First-rate work I think you'll agree, and a hidden gem. To complete the package comes the Manuel Rocca remix. Italian Manuel clearly shows influence from previous Italian greats, and subtle touches are evident here as he followed in a similar vein to fellow countryman Luca Lombardi by perfectly demonstrating a natural ability to create beautifully delicate and memorable productions with a very well defined feel. A promotion campaign score of 75% support from our substantial DJ pool (including spins by Suncatcher, Andy Moor, Markus Schulz and Manuel Le Saux to name but a few) and healthy sales figures made this a successful release for Stories In Trance, and one that has certainly aged beautifully. For the third Back Track of 2015 we take a look at a talented producer that features prominently in the Stories In Trance catalogue. 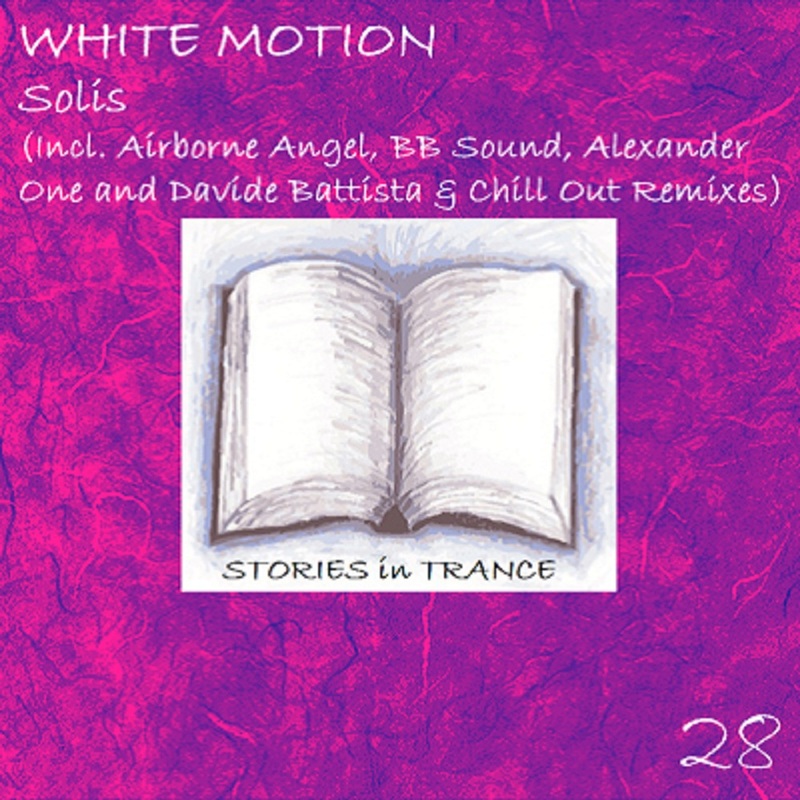 Our 28th release back in July 2012 came in the form of White Motion, with Solis. 2012 was a big year for SIT, as we not only stepped up the frequency of our releases but the year saw some genuinely massive packages served up. Solis was no exception. White Motion (Rytis Gedvilas) was a man on form during the early years of SIT, with imagination backed up neatly by his masterful ability, as proved by several strong productions prior to this one: excellent rethinks of DJ Faisi's 'You & Me' (SIT 12) and the widely supported 'Belt Of Orion' by Airborne Angel (SIT 19) sit nicely with his debut original 'Oxygen' (SIT 22). Here with his second original 'Solis' Rytis continued to demonstrate his talent, creating a well crafted progressively flavoured trancer that still sounds fresh nearly three years on. There was plenty of additional versions with our 28th offering, starting with something special, as it always is when Sweden's finest Airborne Angel (Gustaf Westin) puts in an appearance. Invariably a highlight to showcase anything that Gustaf put his infamous moniker on (just check the SIT back catalogue for some truly outstanding pieces of trance gold) and fresh off his pretty much perfect remix of the massive 'What Dreams May Come' by Oliver Imseng (as previously featured on Back Track), Gustaf once again delivered a stunning piece of music. With a production technique second to absolutely no-one in the entire EDM scene, what you get time and again is his seemingly natural ability to take an original and create something unique yet with all the usual Airborne Angel style.This is no exception, but we can honestly say with confidence it certainly is exceptional. Next came two differing versions from one hugely talented source. The BB Sound remix, along with the subsequent Alexander One & Davide Battista Club remix were fashioned and expertly produced by Italian's Petrone Carmelo (Alexander One) and Gabriele Stefanini (Davide Battista). Carrying momentum from a successful 2011 and after making their first appearance on Stories In Trance with two excellent rethinks of Max Stealthy's 'Arrinera' (SIT 25), they returned here with two imaginative and varied alternatives. The BB Sound remix brought energy and pace into the blend, leaving us with a real floor filler, whilst their second 'Club' remix is a more progressive, heavier and beautifully flowing version. And, as a bonus we also offered White Motion's Chill Out mix. Another example of the wide production ability and varied imagination of the talented Rytis Gedvilas, and a special way to round off the release. After its initial success (both with DJs and those that bought from the release first time round) we feel that it is worth another spin, but if you missed it back in 2012 take this as a gentle nudge toward the link below! Enjoy! This time the focus of Back Track shifts to an epic release not only in terms of the SIT catalogue, but trance as a whole. 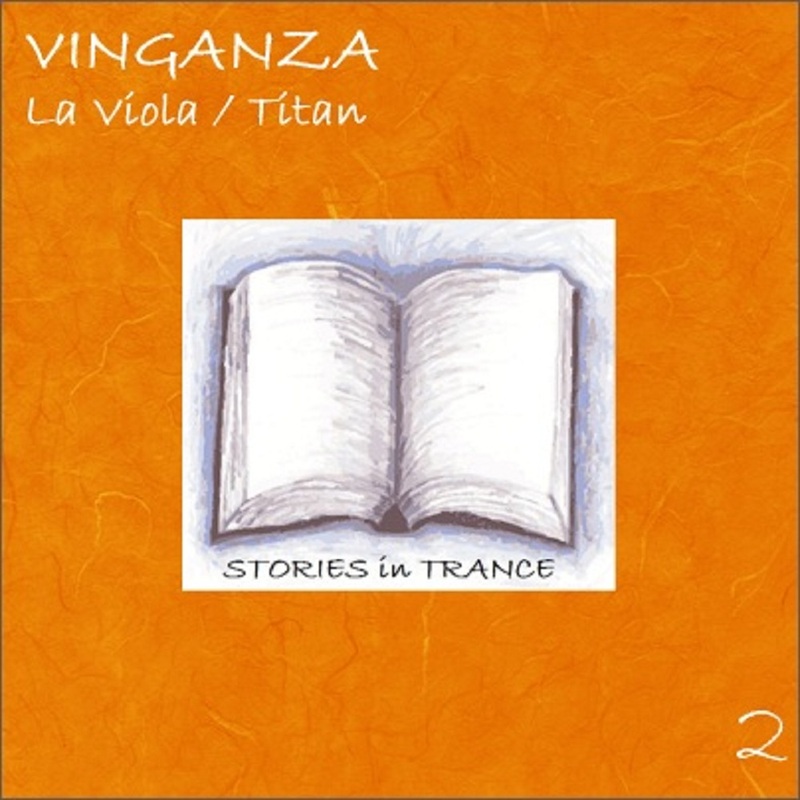 Welcome back to Stories In Trance #2, the masterful double a-side of La Viola and Titan from Vinganza. Following on from a brilliant first release, Airborne Angel's Apollo, we were conscious that the second release needed to be strong to carry on the momentum. And boy did we nail it. Leandro't Jong was the man behind the Vinganza moniker, and in October 2010 we saw the release of this monster. To be honest, even though it was a double a-side, all the attention went straight to La Viola, but because of the sheer quality of the piece it is certainly not a slight on the supporting track Titan. Leandro was inspired by the musical talent of his Grandfather on the Violin and his desire to pay respect led him to sample the seminal Oxford Suite by Ed Alleyne-Johnson and mix it with a nod toward classic power trancers from the likes of Tiesto and Ferry Corsten to create the memorable and definitive track La Viola. SIT's very own Thomas Carter had a hand in the finished product, offering technical advice on structural elements and melodic dynamics, though I'm sure TC won't mind that the credit all goes to Leandro for the imagination and skill to pull this off. The track was a total success, with over 150,000 plays on Youtube to date, support from so many DJs it would be ridiculous to list them here, and remarkably still continues to generate sales over 4 years after its release. One of the jewels in the Stories In Trance catalogue, this is a track both us at SIT and Leandro can be proud of. In addition, and well worth mentioning, the somewhat overshadowed Titan is a cracker in its own right. Quite possibly a hidden gem, with definitive flavours of some of the best from the Overdose/Pulse back catalogue, it is certainly worth a spin. However, the star of the show is La Viola, and it can rightfully take its place as a trance masterpiece. Click on the link to experience trance at its very best. Here we go Ladies & Gentlemen, 2015 is upon us, and for the first Back Track of the year we take a look at a potent release from January of 2012. SIT 17 was the debut original from spArk with the epic track 'Clouds Come'. spArk (a moniker of Egypt's Kareem Sharara) already had previous with us at Stories In Trance, delivering a fine rethink of Airborne Angel's 'Desire' (SIT 6), so we knew that when he delivered his first original it wasn't likely to be a let-down. And he didn't fail to disappoint, as his debut original track Clouds Come showed all the characteristics of a piece of work from a far more experienced producer. A beautifully euphoric and memorable lead combined with pace and depth, and a stunning break, make this one worth remembering. In addition to the outstanding original, we once again offered up strong remixes, not simply to pad out a release (as has never been the SIT philosophy), rather making every offering a notable package. In support we get two superb reinterpretations that again delivered the goods. First up were Hungarian duo Garry SJ & Peter, better known as Forenetix. Having previously worked for Levare with their truly superb track 'Classic Trance Nights', that one really laid down a marker for the high standard with which they were capable of, and here with their brilliant 'Clouds Gone' remix they hit the sweet spot, smoothing out the power of the original and taking it down a more melodic, fluid route, with beautifully defined layers and superb production really bringing out the best from the lead melody. A real gem. And backing that up, we had one of our own main men at Stories In Trance, Poland's Max 'Stealthy' Szalko, doing what he knows best - adding drive and power to the recipe to create a proper big room trancer. With creations like this Max really made an impact with both DJ's and trance fans, quickly establishing a respected reputation helped in no small part by his stunning debut on SIT in Autumn 2011 with the highly acclaimed 'Charge EP'. This excellent remix once again reaffirmed his ability and vision, as Max's plentiful originals and remixes for us went on to prove. Releases like this (demonstrated by the quality of the few we have featured so far in Back Track) were critical in making Stories In Trance a serious player in the scene. With a successful promotional campaign (support weighed in at over 70% from our substantial DJ pool) and healthy sales figures, 'Clouds Come' was a hit. And if you missed it first time round, we'd advise giving it a spin - you won't be disappointed! As 2014 comes to a close, December's Back Track features a strong package from early 2012. 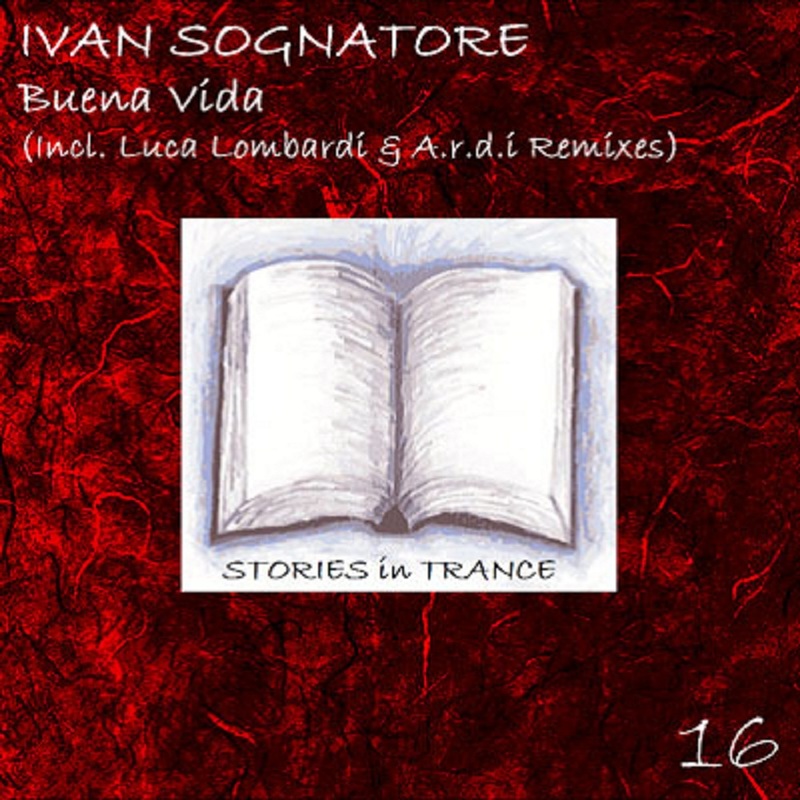 Made available from the 13th January '12 came our sixteenth release, Ivan Sognatore's Buena Vida. Here we have a perfect Stories In Trance release, and a quite stunning example of the ideology we have always operated by. Proud to give opportunities to new talent, here Ivan's original was balanced with two strong remixes from established trance producers resulting in a well received release. As is customary for SIT, and despite ending up as the least potent of the three versions, first up was Ivan's original. Ivan brought this track to our attention early in 2011, and was signed by us along with what ended up being his previous release on Stories In Trance, A Way Through The Woods (SIT 13). The original was a little rough round the edges, and his lack of production experience was evident, but there was enough to not only make a solid follow-up to his aforementioned debut track but crucially a decent and potentially imaginative base for superior remixes. All we had to do was get the right producers involved, and here the release really gets going with two absolute epic reinterpretations. The first remix came from a modern trance master and one of Italy's finest ever EDM producers, Luca Lombardi. Both founding members of Stories In Trance helped cultivate a strong relationship with Luca, and it was always a coup when we got him to feature on our productions. Between 2010 and 2012 pretty much everything he put his name to was pure trance gold, and once again here he delivered a remix that is nothing short of superb. This was the right man to see the potential in the lead melody as Luca somehow makes it glow by crafting more movement into the piece as a whole, and with his mastery of using layers to progress a track it continues to surprise and delight all the way through with those definitively delicate interchanging layers creating subtle evolution to the feel of the piece. If you are not already familiar with this superlative remix then we strongly encourage you to give it a spin, as (if there was such a thing) this one comes with a SIT seal of approval. The second rethink was served up from the talented Polish producer A.R.D.I. (Adrian Wojcik), who after establishing himself with some great work on Silent Shore and Harmonic Breeze Recordings, added another notable production to his impressive catalogue. Taking the track down a more powerful uplifting route, Adrian reinterpreted the lead melody into a faster flowing version creating a big room stormer that was fit to grace any packed dancefloor. Both remixes were very well received with a campaign score of well over two-thirds supporting, including Armin Van Buuren, Fast Distance, Guiseppe Ottaviani, John O'Callaghan, Manuel Le Saux, Paul Van Dyk and Suncatcher, so what more do you need, give the link below a little click and check it out! For November 2014's Back Track we refocus our attention on one of the strongest packages ever released on Stories In Trance. Our 26th release was hugely anticipated based on the talent we assigned to the project and it did not fail to live up the expectations.This one was massive. 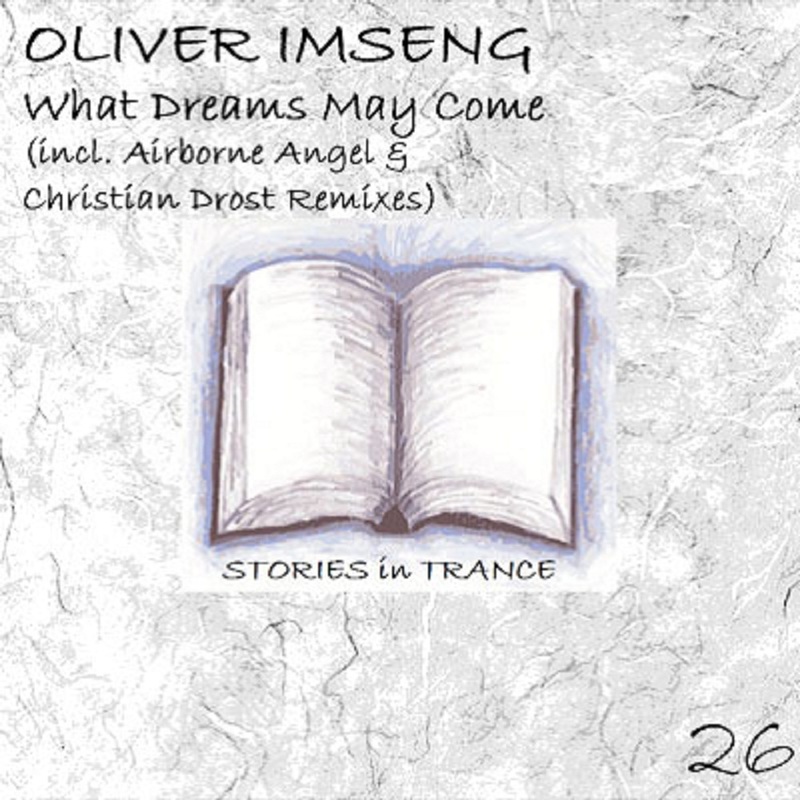 Oliver Imseng brought us the masterful What Dreams May Come. This one had been a long time coming from initially discussing signing an original piece from Oliver, on the back of his superb remix of Airborne Angel's Time & Space. Oliver provided a teaser of a project he was working on and from the bones of it we knew it was going to be special. There was enough for us to get going on the remix side of things, and Oliver requested more time to polish his original. At this stage Oliver asked SIT for thoughts on a name for the track, and it was Matt Carter who suggested What Dreams May Come, inspired by the pure emotional feel of the piece to link it to the novel by Richard Matheson and subsequent film starring (the now sadly departed) cinematic legend Robin Williams. This was back in late 2010, and it took over a year for the original to be completed, being finally released on the 11th June 2012. The supremely talented Swiss producer Oliver Imseng never flooded the scene to make his work stand out and with production values second to none and pure imagination in abundance it was easy to see why this approach worked for him. In the end it was one of the most memorable tracks of 2012 (in addition to being one of our most well supported packages to date) and the beautiful lead melody Oliver dreamt up has stood the test of time well. Pure brilliance from Imseng. Backing up the stunning original came three remixes of real quality. First, a real corker, and always a pleasure for SIT to offer up work from a man who will forever be held in high regard here at Stories In Trance- one of Sweden's finest, Gustaf Westin, once again working under his seminal Airborne Angel guise. 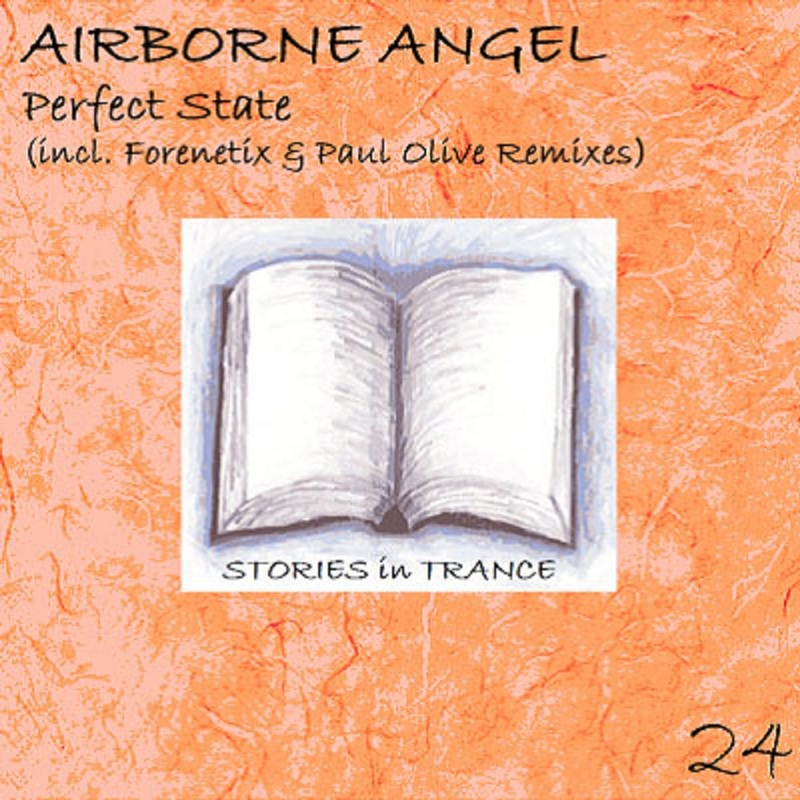 After he delivered several quality, high profile appearances on Stories In Trance the standard was set and here Airborne Angel's Brake Force remix is not far off total perfection. A beautifully subtle reworking of the already superb original lead melody with Gustaf's consistently emotive style infused into it left us with this truly unbelievable remix. Even now this makes the hairs stand on end. If you seek out music that connects with the listener and creates an emotional response then look no further. In addition we offered two further alternatives from Dutchman Christian Drost. After a solid debut year in 2011 with some excellent work, notably on Unearthed Recordings, first Christian gave us his 2011 rethink of the original with some gentle tweaks on the beautiful lead melody and excellent layering to create a continually evolving and always captivating epic interpretation of the original. But as the original was some time in coming, Christian had time to work further on reinterpreting Oliver's initial remix pack and we then received his 2012 remix, which presented a more uplifting take on the original and a fine way to conclude this immense release. Stories In Trance has always aimed to uncover the most talented and imaginative new producers and team up with some of the more established names in the scene to work together in evolving the sound. This release perfectly illustrated our philosophy of not only showcasing a diverse range of sounds within trance, but also offering balanced releases by seeking out those that can interpret the original in a different way. To know where you are going, you have to know where you have come from. And SIT 26 is one that is definitely worth looking back at. Welcome to the first in a series of features looking back on some of the best releases on Stories In Trance. All too often these days good music is forgotten about too quickly as something newer is put out there. But newer does not mean better. So here at SIT we like to remember how the story has developed, and once again shine the light on some seminal releases. 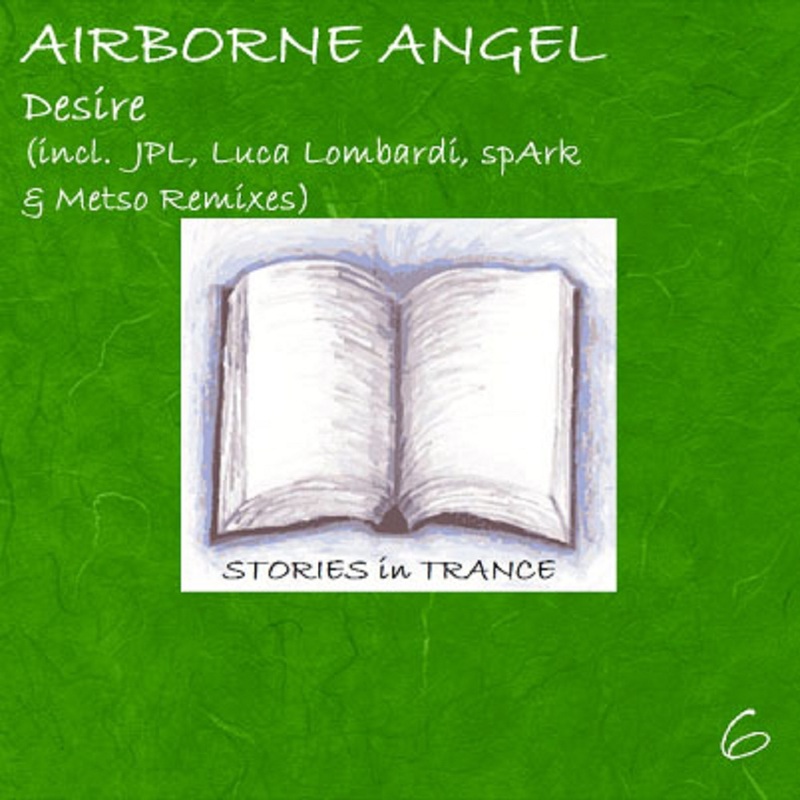 To kick things off for October 2014, we take a look at Airborne Angel's second outing, Desire, after the massive Apollo launched Stories In Trance in the summer of 2010. 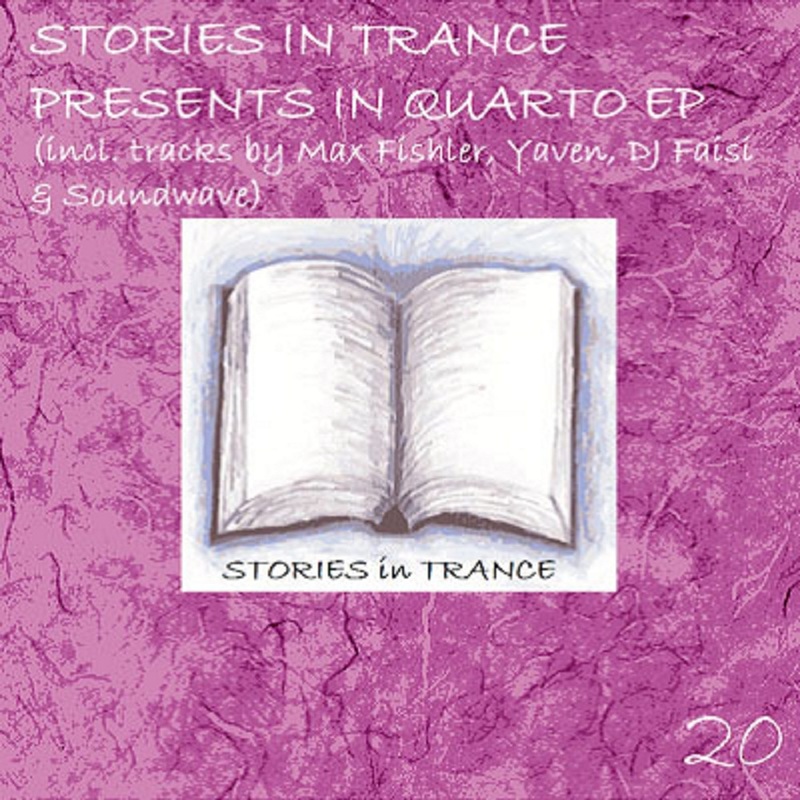 Available from the 28th March 2011, and carrying catalogue number SIT6, this was a fine example of the ideology and strength in diversity that took Stories In Trance forwards. Airborne Angel (Gustaf Westin), is without doubt one of the most underrated and talented producers in trance. Having already produced a superb catalogue of work on Levare and Nu-Depth, and on the back of Apollo, he returned to SIT label with this memorable big room smash. Anthemic trance does not come much better than this as he once again showcased why he is held in such regard with those familiar with his ability. A brilliant defined lead melody combined with pace and power, and the beautifully weighted production finesse prevalent in Gustaf's work made this a worthy follow-up to Apollo. And the remixes continued the high quality theme, with big time Swedish producer JPL putting his definitive feel to the track culminating in a more progressive, warm Balearic sound. This was pure JPL, and the very reason we asked him to feature on the project. Next, Luca Lombardi gave us his interpretation. Along similar lines to Gustaf, Luca was under-rated. Sure, his productions were on some strong labels, but based on his natural talent and creativity, balances against first-rate production values, his work should have been lauded even more than it was. And here he delivered again with a truly unique interpretation: his mastery of layering evident here is worth taking in on it's own merit. The piece as a whole is a continually interesting, delightfully different take on the original, and well worth checking out. In addition to the established artists front-loading the release, SIT proudly served up opportunities to producers who were at the beginnings of their EDM careers, something that many other mid-to-high level players in the EDM scene are not all that keen to do. Though it is interesting to note that many of the artists who made their production debuts with Stories In Trance have then gone on to feature prominently within the trance scene on other labels, though evidently those very same labels were at this stage not that enticed by the prospect of putting something out there from a newbie despite being of sufficient quality. Here the remixes were both sourced from Egypt, and both were making their production debuts. spArk (Kareem Sharara) kicked off in fine style, giving Desire a darker feel, and Metso (Medhat Mourad), sticked more closely to the original but combined a faster progressive basis with the memorable lead tune. The release was a perfect example of our philosophy of not only showcasing a diverse range of sounds within trance, but also offering balanced releases by seeking out those that can interpret the original in a different way. A strong package, still available from all our featured digital stores, and one that we think is worth another look if you missed it first time, or certainly a revisit if it is already sat in your collection.